Max L. Siegel is a man of many talents. A graduate of the University of Notre Dame Law School, Siegel initially planned for a conventional career in corporate law. His parents, William Siegel and Delores Frazier, were part of the demanding music industry, but he longed for something traditional. After his law school graduation, Siegel launched a successful career as a corporate lawyer, presiding over legal affairs for Fortune 500 companies, as well as professional sports, entertainment individuals and organizations. Today, the life of this 44-year-old Indianapolis native is far from conventional. Siegel is an accomplished music and sports executive, attorney, speaker and one of the most sought-after persons in the entertainment industry. He has appeared on The Oprah Winfrey Show and has been featured in The Wall Street Journal, USA Today, The New York Times, Crain?s New York Business, ESPN and Billboard among others. In January 2009, Siegel added to his list of accomplishments when he partnered with John Story and Tina DeVeaux to form The 909 Group, a marketing firm catering to companies and individuals in the sports and entertainment industries. The firm?s focus is sponsorship development and representation, event management, television production, public relations, online marketing and lifestyle marketing. The 909 Group?s first clients include the National Association for Stock Car Auto Racing Inc.
(NASCAR), the sanctioning body for one of North America?s most popular sports. NASCAR executives retained the firm to administer the motorsport industrywide Drive for Diversity initiative aimed at developing and introducing minority and female drivers and crew members to competitive opportunities in NASCAR. It was a much-needed move on NASCAR?s part. Just last December, it settled a $225 million lawsuit filed by a former African-American official who said she was subjected to racial discrimination and sexual harassment when she worked for the organization as a technical inspector from January 2005 until she was terminated in October 2007. Serving as CEO of the new firm, Siegel has taken a hands-on approach to the day-to-day operations of Drive for Diversity. Charged with taking the diversity initiative to the next level, his goals include increasing Drive for Diversity?s reach inside and outside the motorsports industry; creating mainstream marketing programs for the initiative; and gaining buy-in from the various NASCAR constituents, particularly top-tier racing teams like Hendrick Motorsports, home to Jeff Gordon and Dale Earnhardt Jr., as well as from other sponsors. At first glance, successfully reaching his new objectives might seem like a nearly impossible task to many spectators. NASCAR celebrated its 60-year anniversary in 2008, but since its inception there has only been one African-American, Wendell Scott, to succeed at the elite level of racing. Scott won the NASCAR Grand National race (now part of the Sprint Cup series) in 1963. For Siegel, however, the role presents a new opportunity. He explains, ?The role allows me to have a broad impact on the sport and continue to grow my skill set to one day become involved in franchise ownership.? 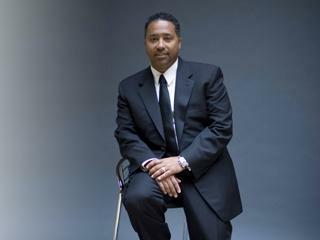 First exposed to racing as a child in Indianapolis, Siegel?s professional interest in racing began years ago when he planned to establish the first African American-owned NASCAR team with NFL Hall of Famer Reggie White and former San Diego Padres player Tony Gwynn. That effort failed after the death of White in 2004, but Siegel remained interested in NASCAR. That interest led to his recent role as president of global operations for Dale Earnhardt Inc., a top motorsport franchise in NASCAR, which made him the highest-ranking African-American in NASCAR. It was an unprecedented move for Teresa Earnhardt, CEO of Dale Earnhardt, to bring in someone from outside of the motorsport industry. At the time, Siegel held dual positions as senior vice president of Sony/BMG?s Zomba Label Group and president of Zomba Gospel. Taking on seemingly impossible tasks is not foreign to Max Siegel. His talent and extensive experience brokering deals and managing various projects enabled him to successfully oversee marketing, promotion, sales, sponsorship and distribution for all Dale Earnhardt properties, including its top-rated motorsports teams, airlines, licensing and auto dealership, as well as the Dale Earnhardt Foundation. Beginning in February at Daytona International Speedway and concluding in November at Homestead-Miami Speedway, the NASCAR touring season is far from devoid of fans. Each season, millions of fans attend and watch the races on television, making it the No. 1 U.S. spectator sport and the No. 2-rated regular season sport on U.S. television. NASCAR consists of three national series (Sprint Cup Series, Nationwide Series and the Craftsman Truck Series); two international series (Canada Tire Series and Mexico Series); four regional series (Camping World Series, Whelen Modified Tour, Whelen Southern Modified Tour and Whelen All-American Series); and one grassroots series. The organization sanctions 1,200 races at 100 tracks in more than 30 U.S. states, Canada and Mexico. ?Increasing the pipeline of women and minority pit crew members and drivers is one of the main goals of the diversity initiative,? explains Siegel. Increasing the level of talent is another. To move from the developmental, regional series to the national series, drivers must win races and improve their ranking. Performing well is key to landing sponsorships. Since it takes more than $30 million each year to race in NASCAR?s big races, it is vital for drivers to connect with sponsors and create a mutually beneficial relationship. Launched in 2004, the Drive for Diversity program only supports drivers in two of NASCAR?s regional series ? the Camping World Series and the Whelen All-American Series. Drive for Diversity also supports crew-member candidates with a four-year, pit-crew training program. Pit crew members have gone on to compete in the NASCAR Camping World Truck Series and the NASCAR Nationwide Series. Siegel is also in the midst of launching a television series about racing called The Ride. The show will highlight and celebrate the success of minorities in motorsports, as well as showcase young minority talent in the industry. It provides the virtually unknown drivers with an opportunity to make a name for themselves, hopefully gain the attention of fans and sponsors, and move closer to the elite level of racing. While increasing minority visibility on the elite tracks is currently a challenging task, Siegel sees ?a tremendous opportunity? on the business side of NASCAR for African-Americans, women and other minorities. Today, candidates with interests ranging from accounting and marketing to aviation and production can find opportunities in one of NASCAR?s offices in Arkansas,? California, Florida, New York, North Carolina,? Mexico City and Toronto. Siegel looks forward to fans tuning in to the Sprint Cup Series in five years and seeing an African-American and a female driver racing at this elite level on a consistent basis. Filling the driving pipeline with exceptional talent is essential to achieving this goal. Siegel?s five-year agenda not only focuses on diversifying the faces on the track but also on bringing in new businesses that support success on the track. The value of sponsorship is often ingrained into the minds of drivers early, since sponsorship dollars keep them moving around the tracks. This is the very reason that after a race you can spot a driver sipping on soda from one sponsor while wearing a hat with a logo of another sponsor and a uniform adorned with the decals of several other sponsors. Siegel hopes that African-American businesses will join the larger corporations like Coca Cola, Kellogg?s and The Home Depot to take advantage of the tremendous marketing opportunities that exist in NASCAR.